At the rhythm of harp, cuatro and maracas, 270 Venezuelan people from very early in the morning were concentrated in the spaces of the park ‘Las Carolinas’ in the city of Quito. Women, men and children excited to return to their longed for Venezuela. The nationals were received by a delegation of the Venezuelan diplomatic corps accredited in the Republic of Ecuador for their respective check and verification of the passports. Although Ecuador has been recognized as one of the countries most receptive to immigrants in the continent, the wave of xenophobia caused by the recent immigration measures announced by President Lenin Moreno after the femicide incident forced the nationals Residents in the South American country decided to return to protect their lives. Maritza Machado, a 60-year-old compatriot, said that “because of the situation with the Ecuadorian girl, all doors were closed to Venezuelans … there were many Ecuadorians who treated us with violence”. Stories like that of Mrs. Maritza gave way to the simultaneous flight dynamics for the fourth time in conjunction with the airline Conviasa to address the largest number of Venezuelans in Ecuador, who voluntarily expressed their desire to return to the country, after being victims of violence, discrimination and labor exploitation. “My experience in Ecuador was not very pleasant, the life of the immigrant is quite hard (…) Ecuadorians are a bit hard, they put people to work and do not pay, especially to Venezuelans”, commented Dianela Wilchez in company of her husband and daughter. 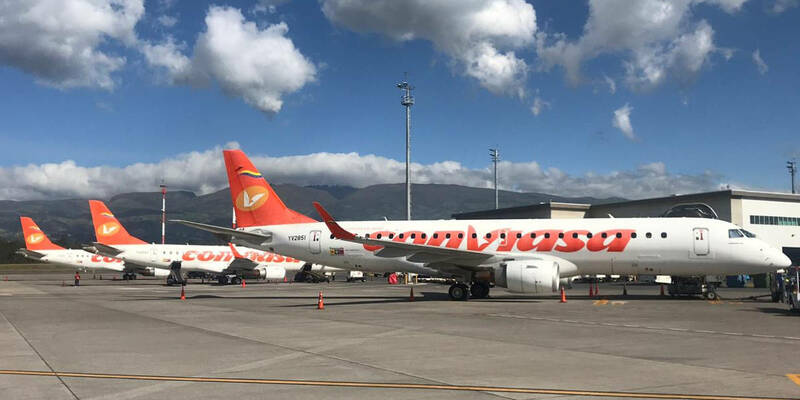 After the arrival of the Venezuelans at the Mariscal de Sucre International Airport in Quito, the Plan Vuelta a la Patria had something unexpected; the national aeronautical authorities of Ecuador had denied the overflight of the Venezuelan mission aircraft. However, after a couple of hours of talks and within the framework of the Diplomacy of Peace, the Venezuelan Foreign Ministry together with the Ministry of Foreign Relations and Human Mobility of Ecuador agreed on the corresponding permits. Upon their arrival in Venezuela, the nationals did nothing but thank their return to the Homeland. “Wonderful, the best thing that can happen to a Venezuelan (…) return to his homeland” expressed José Luis Carillo. To date there are more than 12 thousand people who have returned through the Plan Vuelta la Patria.